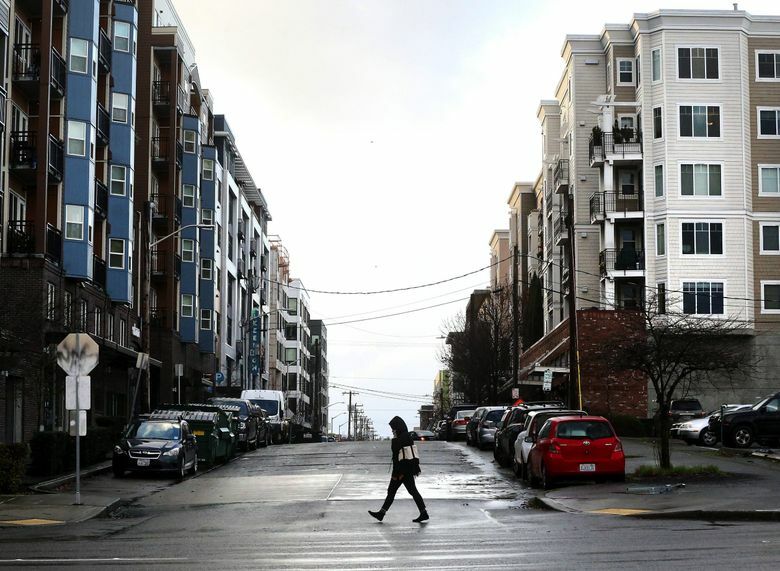 Washington legislators must resist attempts to override local planning, prevent environmental reviews and eradicate single-family neighborhoods. A suite of bills in Olympia would set a terrible precedent by micromanaging planning and disallowing local decisions about what’s best for cities and counties. It’s shocking that progressive legislators would do this in ways that benefit rich and powerful special interests, tipping the balance in local matters where ordinary residents are already disadvantaged against paid lobbyists. Even worse, a handful of Seattle City Council members are giving legislators false and misleading information as they lobby for bills that would be the death knell for single-family neighborhoods. The bills would force Seattle and other cities to allow subdivision of single-family lots into multiple units for rent or sale by investors. The bills — Senate Bill 5812 and House Bills 1797 and 1923 — include measures prohibiting cities from regulating parking, exempting projects from environmental review and blocking citizen appeals. This is done under the guise of allowing more backyard cottages, or accessory dwelling units (ADUs), which Seattle has allowed for years. A recent city study concluded that easing ADU restrictions would have only a marginal effect on affordability. Mostly it would create pricey rentals in expensive neighborhoods, which the city has in abundance. Nevertheless, advocates, including developers and labor groups, continue spinning this as a social-justice imperative. Seattle has debated these rule changes since 2015, when they emerged as part of the backroom “grand bargain” that former Mayor Ed Murray hatched with a lawyer for Vulcan, the late billionaire Paul Allen’s real estate company. Neighborhood groups appealed not to stop growth or prevent density, but because they objected to broad-brush planning that failed to account for situations in different neighborhoods. The Legislature would be even more imprecise and insensitive. As Seattle’s debate enters its homestretch, two suburban legislators, State Sen. Guy Palumbo, D-Maltby, and Joe Fitzgibbon, D-Burien, are championing bills that would dictate ADU requirements and quash local pursuit of careful and inclusive planning. Palumbo, who wants to reduce growth pressure where he lives, told this editorial board he’d like to see investors buy up houses in Seattle’s single-family neighborhoods and convert them to multifamily rentals. “I say great, that’s the point of this bill,” he said. Other cities have opposed this meddling. Seattle Mayor Jenny Durkan said she doesn’t want the state to override local authority. But Seattle Council members Rob Johnson, Teresa Mosqueda, M. Lorena González, Mike O’Brien and Sally Bagshaw lobbied to pass the bills. Then it would be legislators, not them, who ignored residents’ concerns and stifled public engagement. Fortunately the bills and Seattle’s rogue lobbying are being scrutinized by State Rep. Gerry Pollet, a North Seattle Democrat chairing the House Local Government Committee. Pollet pushed back, pressing council members on why they’re lobbying for more aggressive policy than they are seeking in the city’s public process. In a March 12 letter to Pollet, not signed by Bagshaw, they said Seattle is struggling to build ADUs, with only 221 built since 2009. Actually, the truth is that ADU construction is surging under existing policy. More than 2,171 have been permitted, including more than 250 units yearly in 2016 and 2017, according to the city’s October 2018 study. They also blame homeowners for stalling upzones and new affordable housing requirements. Not mentioned is that City Hall was slow to implement the measures, enabling developers to largely avoid the requirements during the Amazon boom. Pollet proposed changes to ensure the ADU bills don’t just benefit investors and disadvantage homebuyers, such as requiring that homeowners adding rental units live on the property. He said they were flatly rejected. “Those things prove it wasn’t ever about affordable housing,” he said. The Legislature has done many things to address housing affordability. That should be a great legacy for Speaker of the House Frank Chopp, D-Seattle. It must not taint that work, and make it harder for working people to ever buy a house, by declaring open season for investors salivating over single-family neighborhoods.